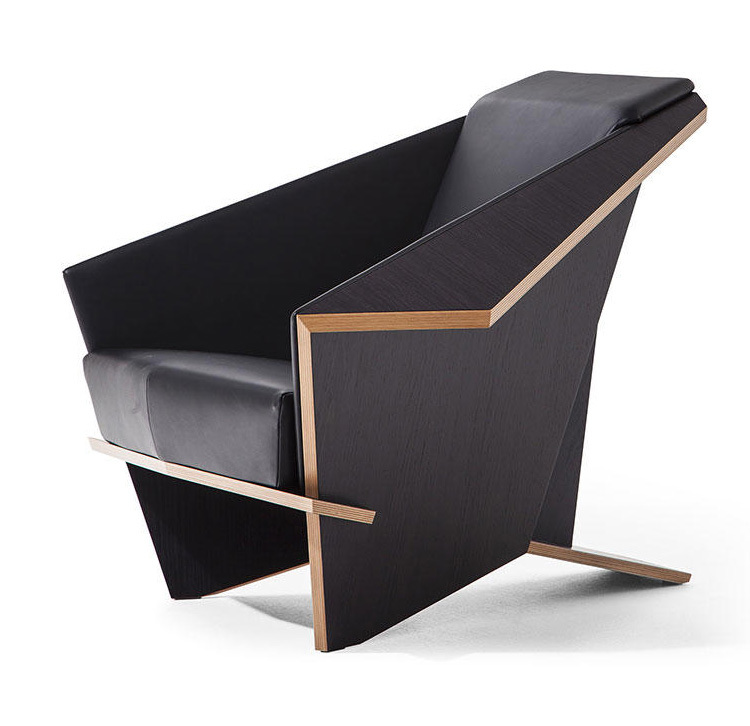 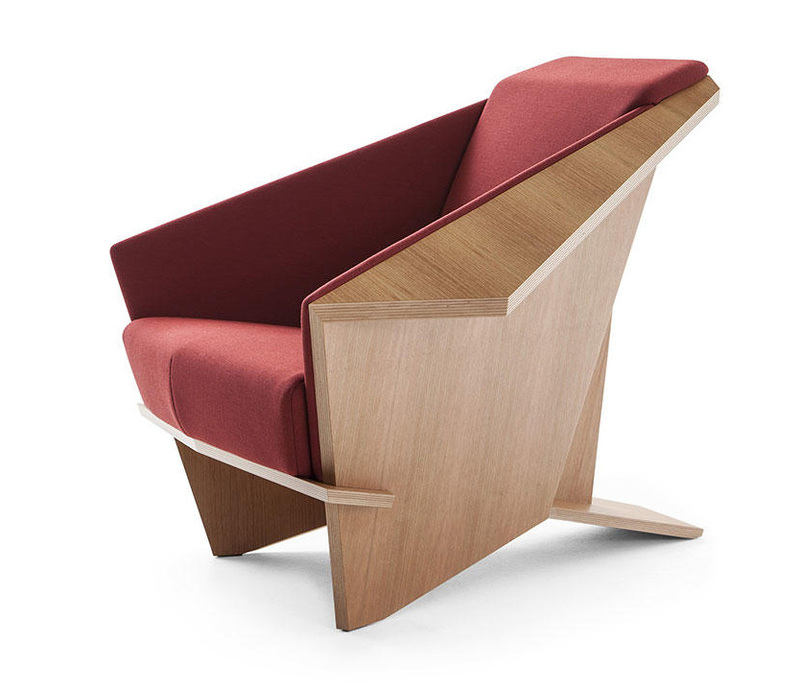 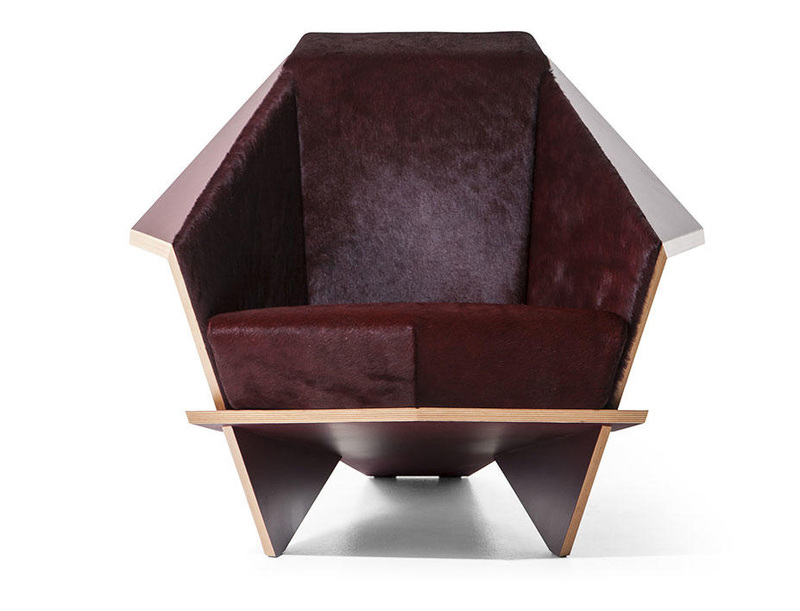 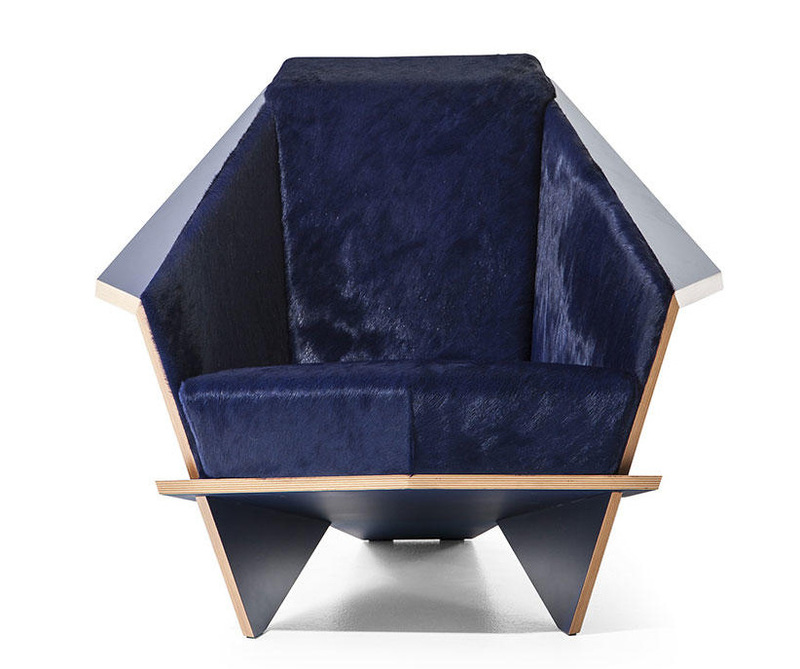 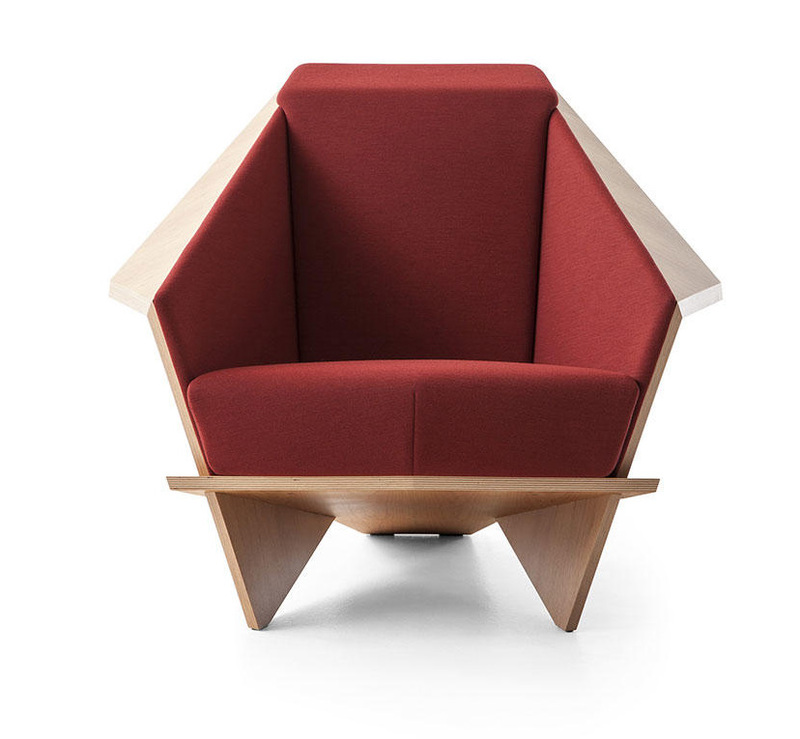 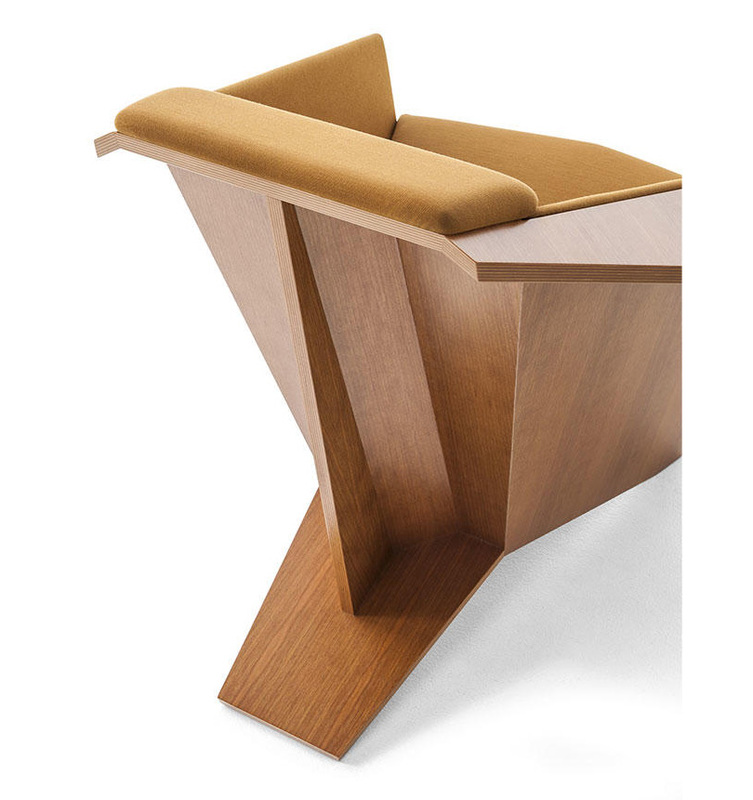 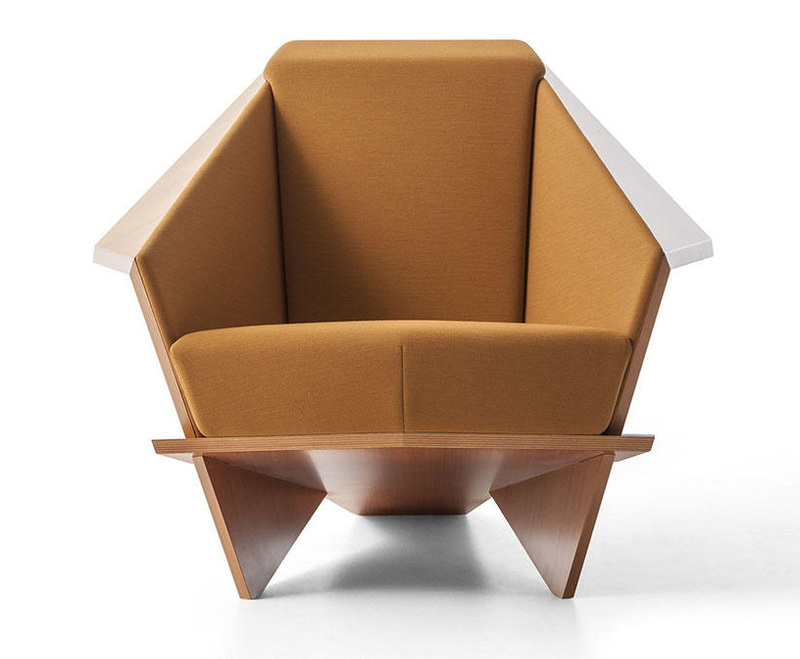 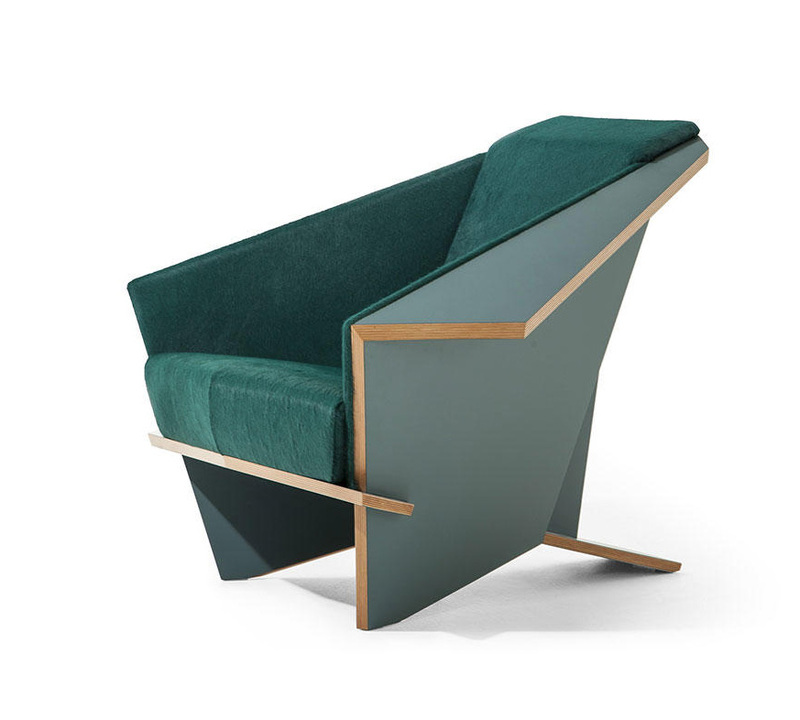 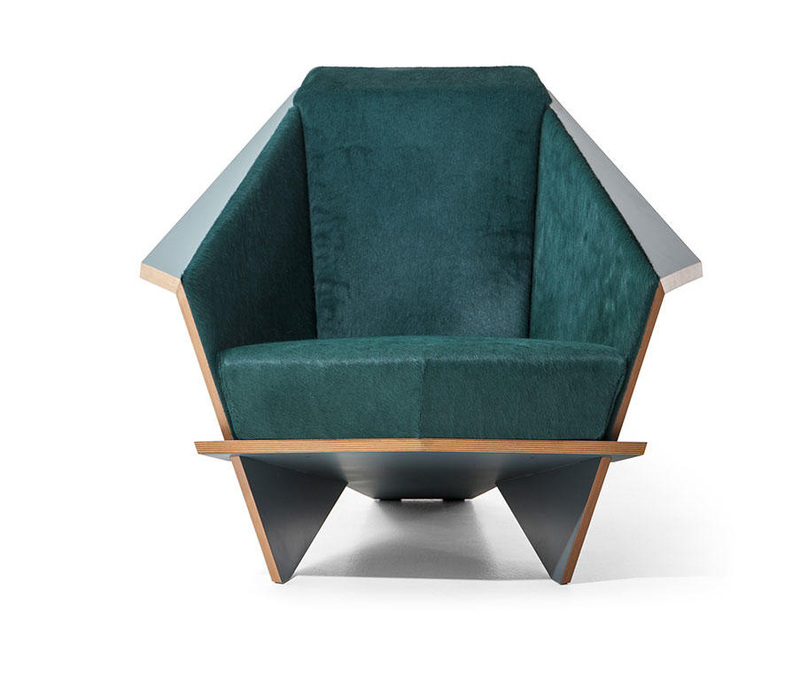 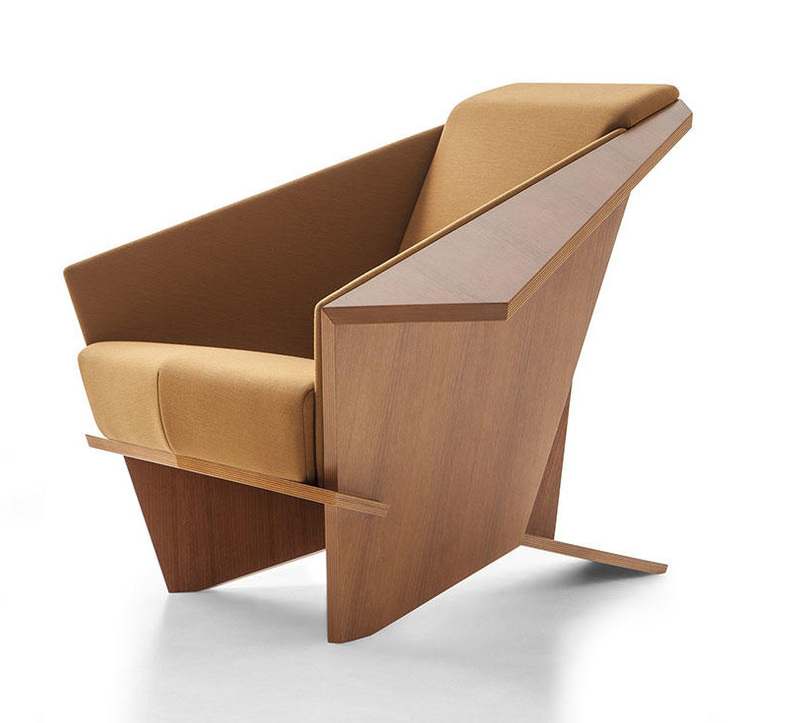 Origami in wood, emblematic of Frank Lloyd Wright’s design maturity and ever-surprising aesthetic code, this armchair was created in 1949 for Taliesin West, his home-studio in Scottsdale, Arizona, today the headquarters of the Frank Lloyd Wright Foundation. 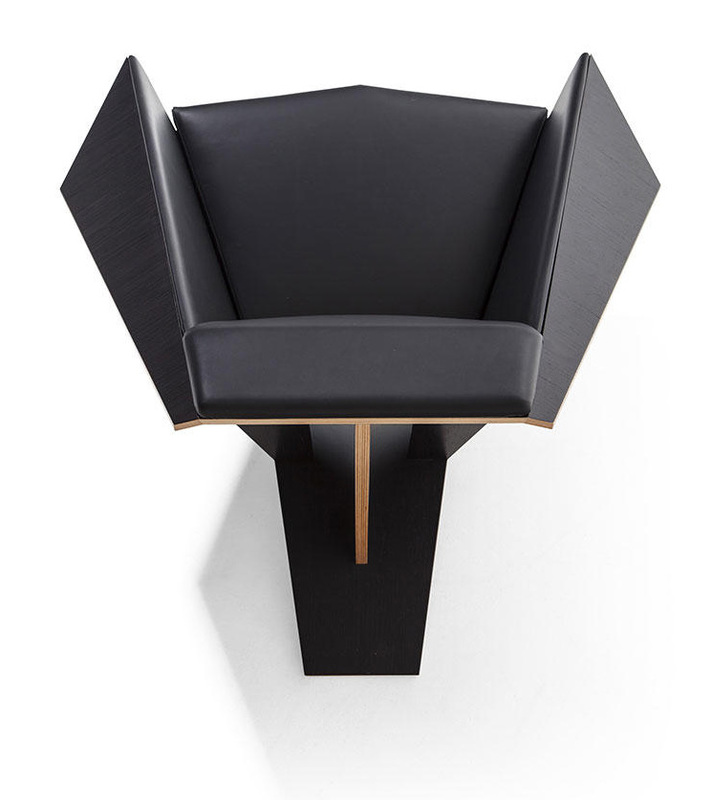 An icon that highlights the architect’s shift to more sophisticated solutions, the chair has angled components and a complex geometrical structure that ensures its stability. 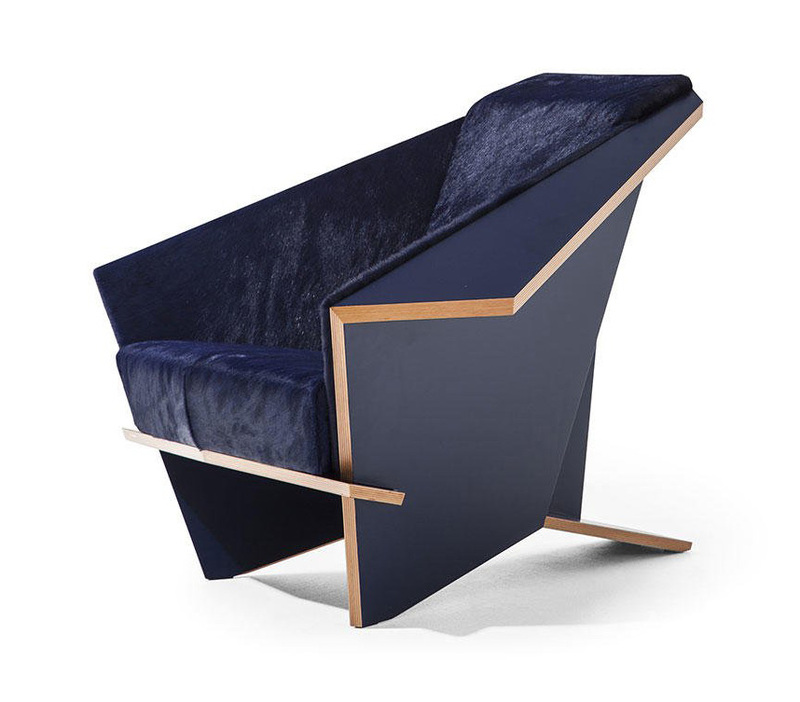 Manufactured by Cassina between 1986 and 1990, the Taliesin 1 chair is constructed from a single piece of folded plywood evocative of the Japanese art of origami. 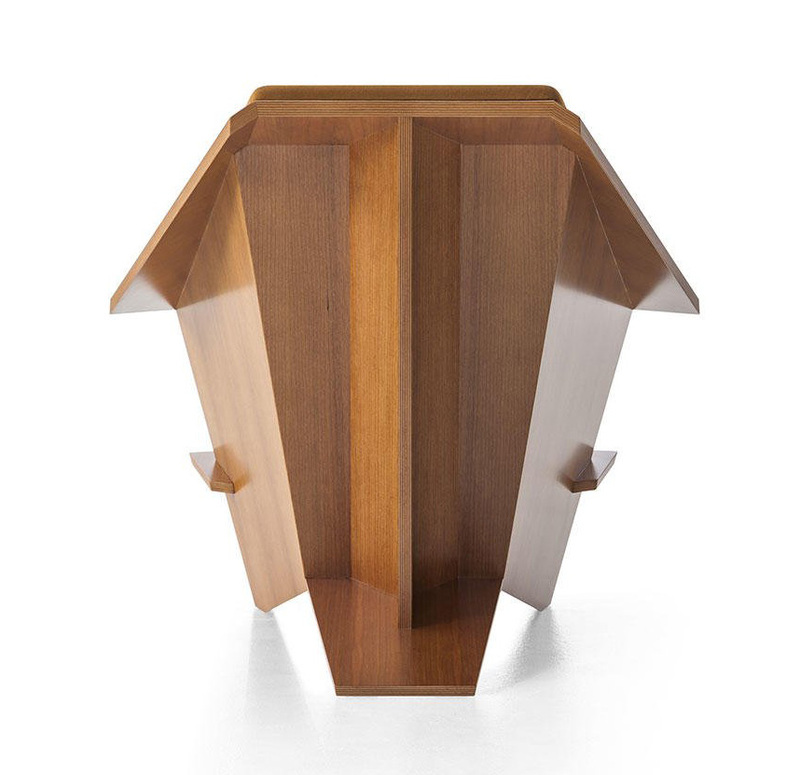 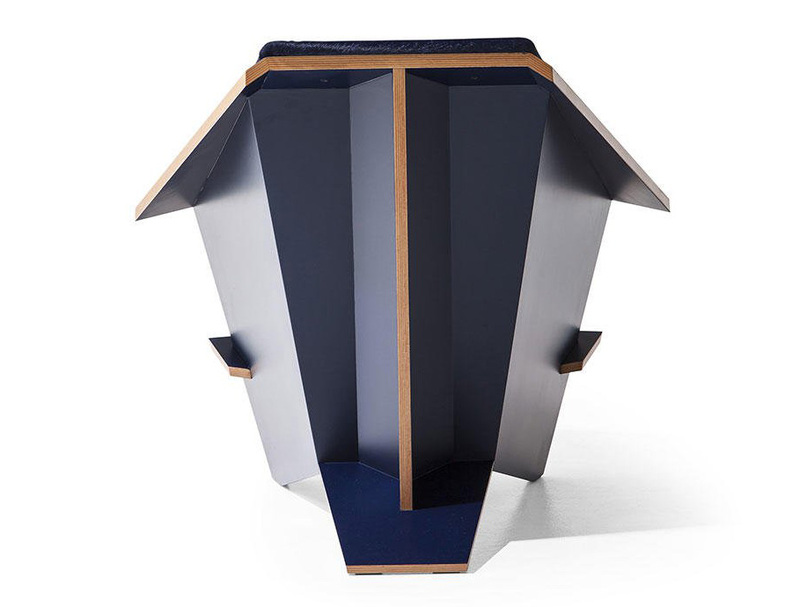 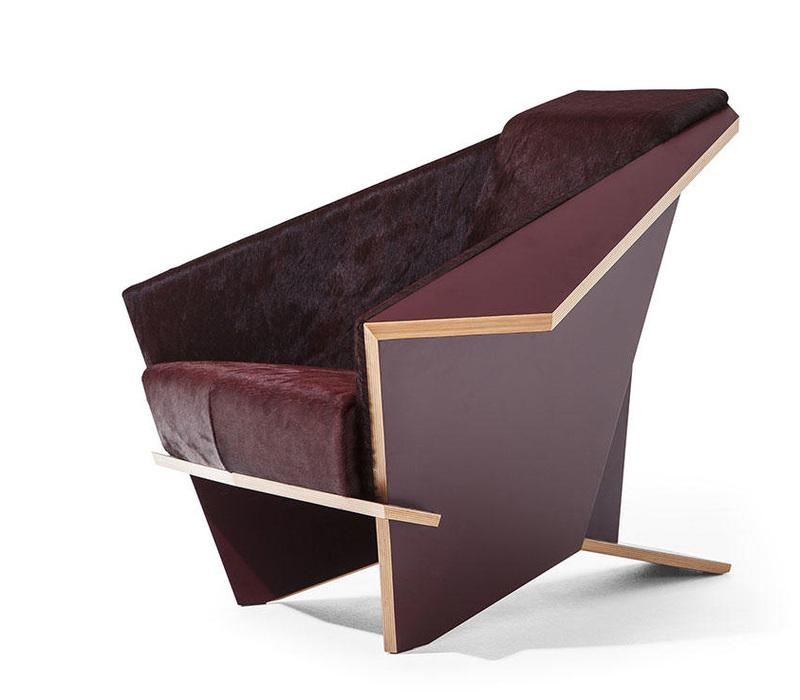 Thirty years later, Cassina has revisited the design, in collaboration with the Frank Lloyd Wright Foundation. 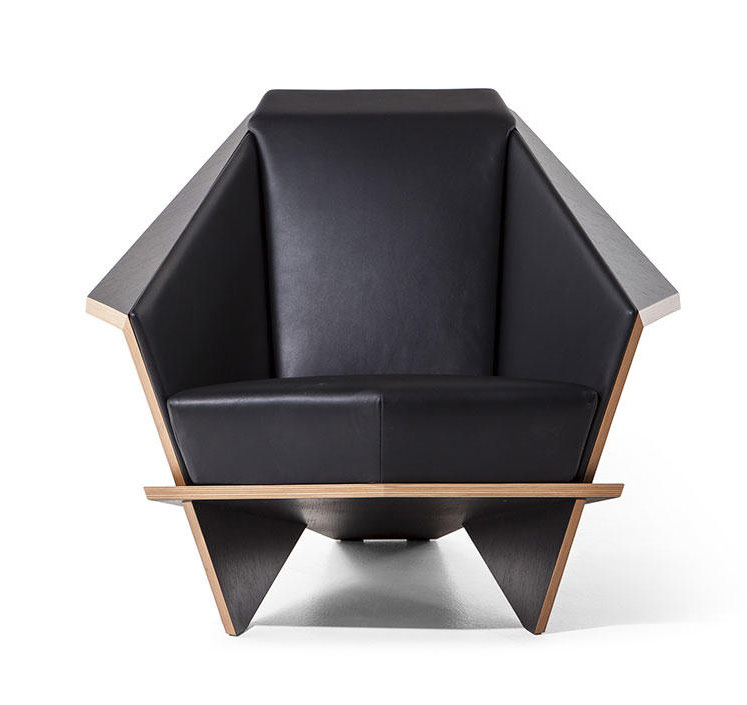 Craftsmanship and state-of-the-art technology meet in the skilful carpentry workmanship, while added comfort conferred by a more reclined backrest and a thicker padding.